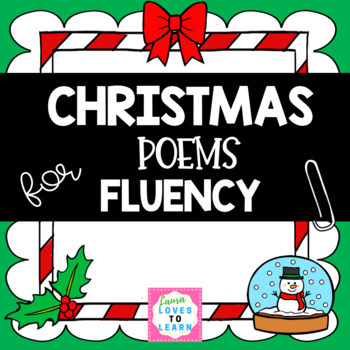 In this resource, you will get detailed instructions on how to set up a reading fluency intervention for your students using poetry! 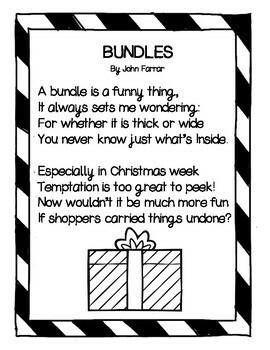 In addition, you will get six Christmas-themed poems to use. Each poem has both a color and black & white version. You will also get a bonus "Lucky Listener" page to copy on the back of poems that you send home with students for fluency practice. 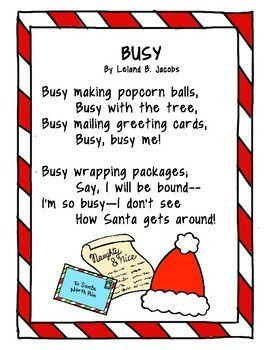 This product can be combined with my Poetry Fluency FREEBIE for maximum impact with students. For a detailed look into what's included in my poetry sets, check out this YouTube video! WANT TO EARN FREE TpT CREDIT? Please remember that when you leave feedback you earn points toward FREE TPT purchases! I appreciate your feedback and comments so much! Also, be sure to FOLLOW ME so you receive a notification when new resources are available!